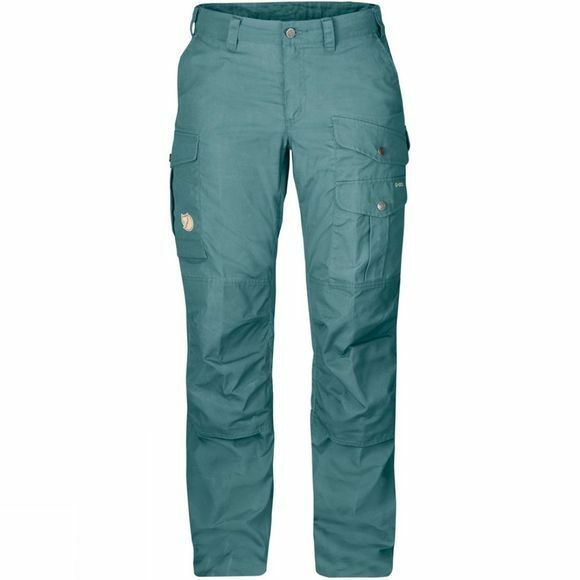 The Women's Barents Pro Trousers are durable trekking trousers for adventures in the mountains and outdoors. Made using durable wind and water-resistant G-1000 fabric with a double layer over the rear and knees. They have a mid waist and a regular fit with pre-shaped knees. Six practical pockets including a map pocket. Raw-length leg endings can be easily adapted to your own height.